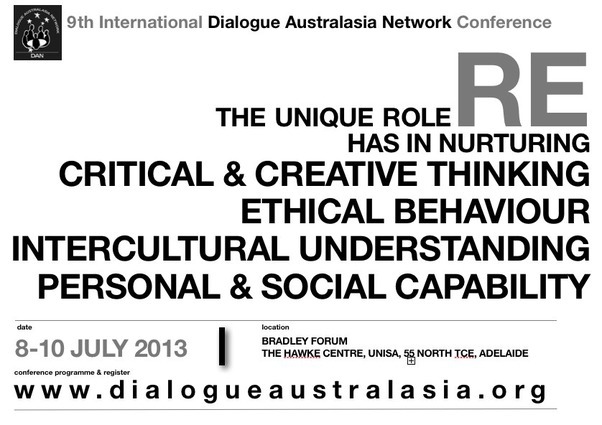 I am delighted to advise details about the 2013 DAN Conference, to be held in Adelaide from 8-10 July 2013. In order for you to apply to your school to attend, Preliminary Conference Information is detailed below, and a Registration Form is available for download from the DAN website. We look forward to seeing many of you at the Hawke Centre in Adelaide - seats are limited, so don't leave it too late to register! As such, good RE has a special role in nurturing the General Capabilities prescribed by the Australian Curriculum, including Critical and Creative Thinking, Ethical Behaviour, Intercultural Understanding and Personal & Social Capability. RE, Philosophy and Ethics in their important and challenging task. Outstanding educators and academics will explore and share examples of creative pedagogy, curriculum planning and teaching resources focusing on the relationship between the content of RE and Critical and Creative Thinking, Ethical Behaviour, Intercultural Understanding and Personal & Social Capability. We are delighted to be able to hold the 9th International DAN Conference in the Bradley Forum within The Bob Hawke Prime Ministerial Centre. 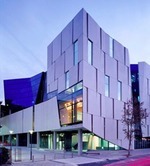 This superbly designed building is located at the City West Campus of The University of South Australia, Level 5, 50-55 North Terrace, Adelaide. The venue is within easy walking distance (and free tram) of many CBD Hotels and the Adelaide YHA. In recognition of how the beautiful and surprising film The Life of Pi offers rich possibilities for the classroom, the Damaris team have partnered with Twentieth Century Fox to develop a special free educational resource. Two episodes from the film are linked to questions and information supporting learning objectives from both Philosophy & Ethics and the IB. This material would work well in both class as well as for a 1/2 or day programme for a whole senior year group. Can We Decide what to Believe? 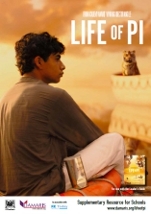 Another resource, The Meaning of Life in Pi? explores spiritual ideas raised by the film around the concepts of hope, truth and faith. Clips from the film are linked with comments from Andrew Copson (British Humanist Association), Krish Kandiah (Evangelical Alliance) and Shaunaka Rishi Das (Oxford Centre for Hindu Studies). Whilst we're at the movies, Damaris have also produced a discussion guide for the recent release Lincoln. The film focuses on President Abraham Lincoln's historic push to aboish slavery, as well as juggling the conflicting political imperatives of ending the war, and explores key concepts of compromise, justice, equality, politics, integrity and slavery. - 'The inner compass that should direct people to justice has ossified.' (Thaddeus Stevens) Why do you think that tolerating injustice affects people's moral compass? What can we do to prevent ourselves being compromised in this way? - How did you react to Lincoln's reply to the above quote, pointing out that a compass only points to true North; it doesn't tell you how to get round the obstacles you might find while travelling towards it? - To what extent can comparisons be drawn between Lincoln's ability to appeal to different sides of the political debate and the apostle Paul's claim that he became, 'all things to all people so that by all possible means I might save some' (1 Corinthians 9:22)? 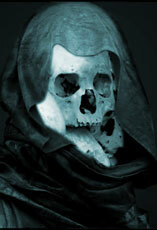 - At one point Thaddeus Stevens is told to, 'Compromise, or you risk it all.' Are there things that should never be compromised, regardless of the cost? Check out Peter Baron's excellent Philosophical Investigations website where you'll discover a wealth of resources for teachers and senior students of Philosophy & Ethics, including a Blog (most recent post was a philosophical exploration of The Meaning of Love on Valentine's Day! ), Articles on all sorts of Ethics & Philosophy topics and Case Studies (including a very interesting one on the 1961 Milgram Experiment, Kant and Duty). You can also read an article by Peter Baron on Moral Education and Critical Realism in the upcoming May 2013 issue of Dialogue Australasia journal. An invaluable resource for teachers and students to accompany the online material accessible on the Blake Prize website (including selected artworks). There are 4 sections, the first of which discusses the three chosen themes of the 61st Blake Prize: Spirituality and Religion, Nature, and Smoke and Threads. The second section provides information on those artists who were Highly Commended and the 5th Blake Poetry Prize, whilst the third section looks at the process of Choosing a Winner and includes student activities. The fourth provides formal Questions for Discussion and Creating and Making activities that are split into lower secondary Years 7-9, and upper secondary Years 10-12. 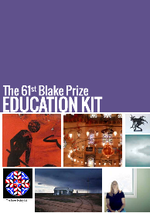 DOWNLOAD the 61st Blake Prize Education Kit - compiled by Dr Rod Pattendon, Chair of the Blake Prize for Religious Art and 2013 DAN Conference Speaker. 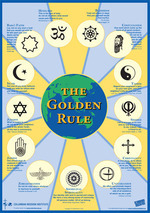 The Australian version of the Scarboro Missions Golden Rule Poster has recently been published by the Columban Mission Institute's Centre for Muslim-Christian Relations in Sydney. This new version features changes including the inclusion of Indigenous text and symbol. As each of the 13 Golden Rule texts rotates, the audience is provided with a reflective, informative and meditative experience. THE PROBLEM OF EVIL: Those of you who have alreadt ordered this latest resource from EthicsOnline have commented on how powerful it is. There are accompanying teacher's notes which include questions, ideas and activities for learning and explanatory notes based on each film.